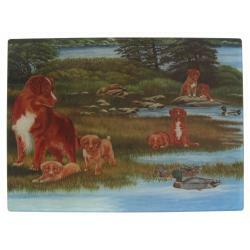 This Toller ceramic picture tile is approximately 6 X 8 X 1/4 inches. 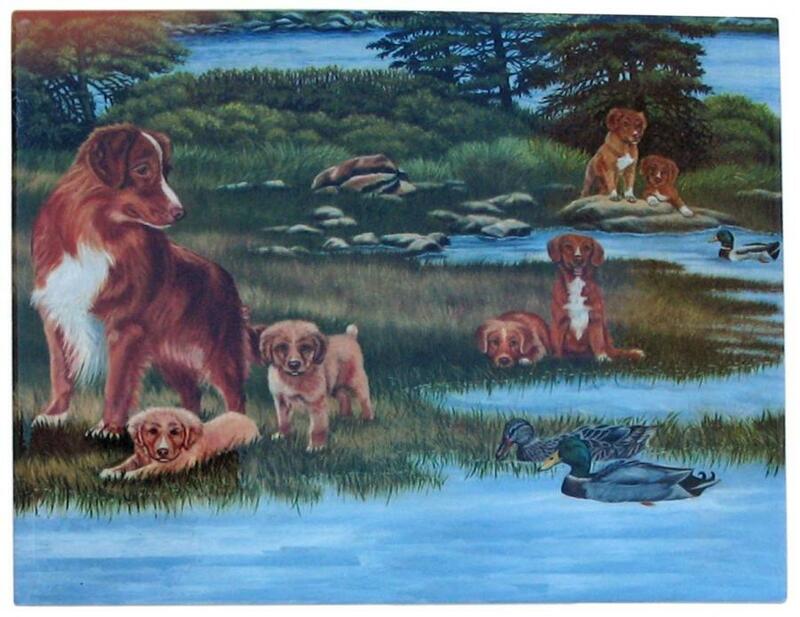 The image is imprinted into the surface of the ceramic tile and makes a stunning artwork display, ready for your own trivet or picture frame. 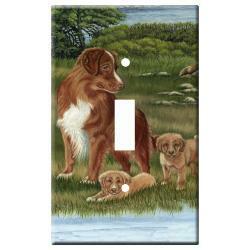 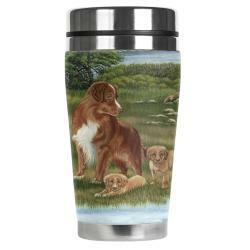 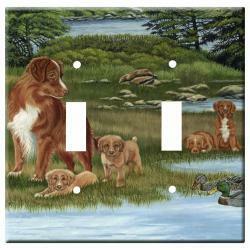 Some customers use this product in furniture inlay, backsplashes or just good dog breed wall art, etc. 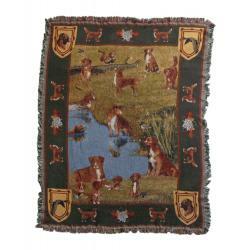 Interior decoration only made in the USA exclusively by Gone Doggin! 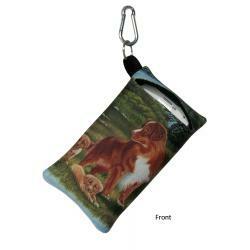 The Toller picture tile was imprinted using exclusive dog breed art by Gone Doggin - we ship Nova Scotia duck tolling retriever gifts for dog lovers worldwide.